Admittedly, the word “Aztec” has a certain charm. The adjacent town is Aztec, New Mexico–which seems to have adopted its name from the Native site. 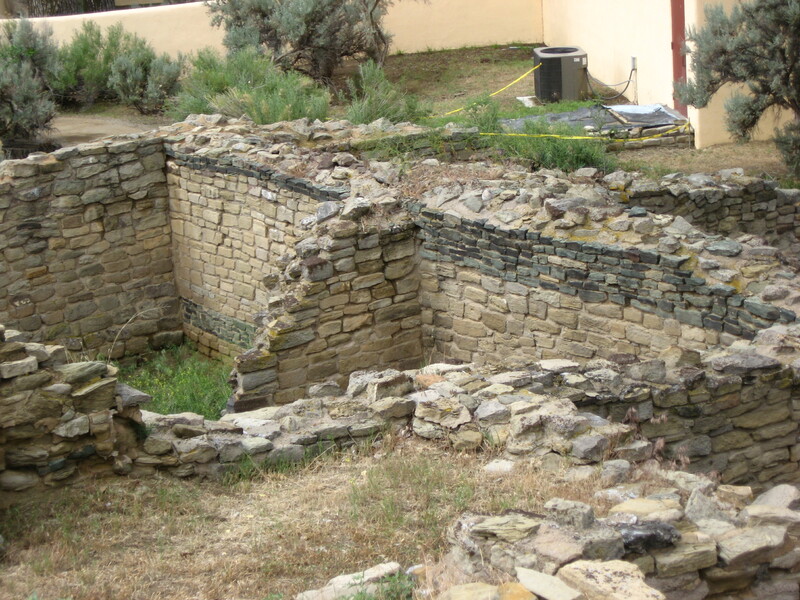 Who wants to live in a town called “Ancient Pueblo People”? Can you imagine writing that on your online order forms? And what would you call your local football team? The APPs? Too technological. My husband and I recently followed road signs to visit what we expected to be a monolith dedicated to the Aztec people. We had no idea we had stumbled upon an ancient community, a UNESCO World Heritage Site. The self-guided tour currently runs for a half mile and a considerable portion of the site remains unexcavated. The Great Kiva was reconstructed in 1934 and is an impressive reuse of 900-year-old roof timbers. The site is in geographic line with the more famous sites at Mesa Verde and Chaco Canyon and is likewise aligned with the movement of the sun through the seasons. It was probably erected by the same people now called the Anasazi. As I stood in modern day New Mexico in the footsteps (or perhaps the shadows) of ancient people who had lived and worshipped around me, I read a text from a friend in Massachusetts who was worried that I had been caught in tornadoes that were happening in Colorado. I was struck by the absurdity of scoffing at the fluidity of time and space. I could almost hear ancient Pueblo people muttering around me. They might have been laughing. There is no moral to my story except that we should remember how easily human mistakes are preserved and often repeated before we speak of our absolute truths. Human history—the story of our global family–is edited and often twisted by ego, cultural and gender pride, sloppy record keeping, and plain old ignorance. We all make mistakes. Yes, we do tend to stick to our mistakes and want to rename everything. Hence, the Huajatollas became Spanish Peaks here in Colorado. This entry was posted on June 28, 2015 by Personal Journeys with Gramma in Musings and tagged Aztec, Aztec Ruins National Monument, featured, Fluidity of Time and Space, Great Kiva, History, Human History, Mistakes Endure, Musings, New Mexico, UNESCO World Heritage Site.